Just READING these words chases some of the gloomies away! Yes, simple pleasures are often the best. This is a wonderful quotation. 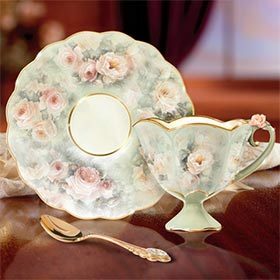 Will you be drinking tea out of that cup while watching the Royal wedding? I love getting in the dirt and smelling it's earthy fragrance. Can't get much more simple or get better pleasure then that.